These are 2-color 8" hexagonal cement tiles, using colors from the South Beach Palette. 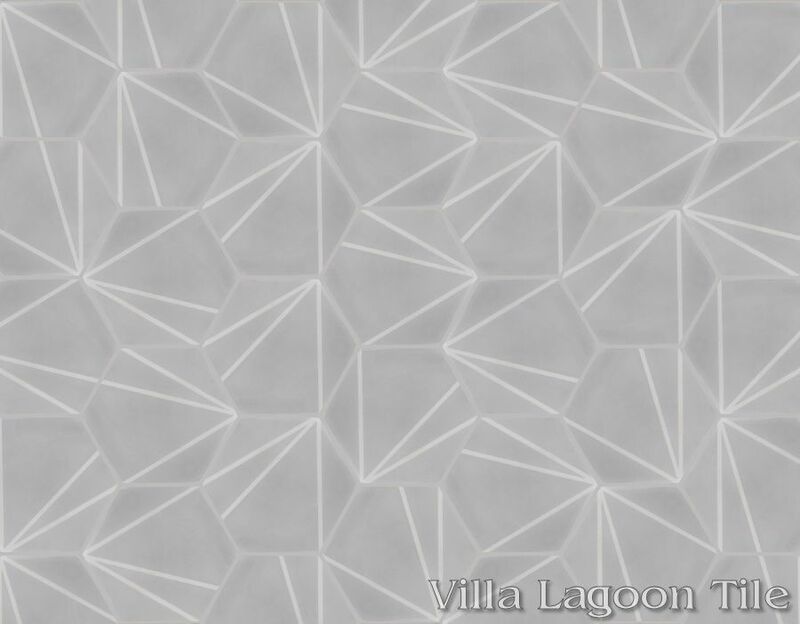 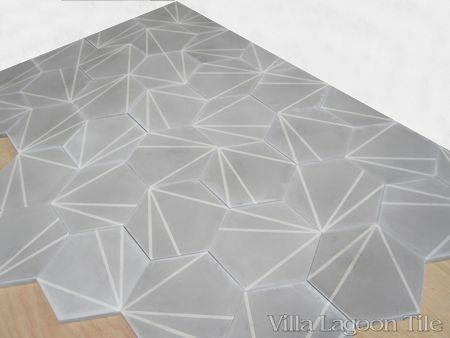 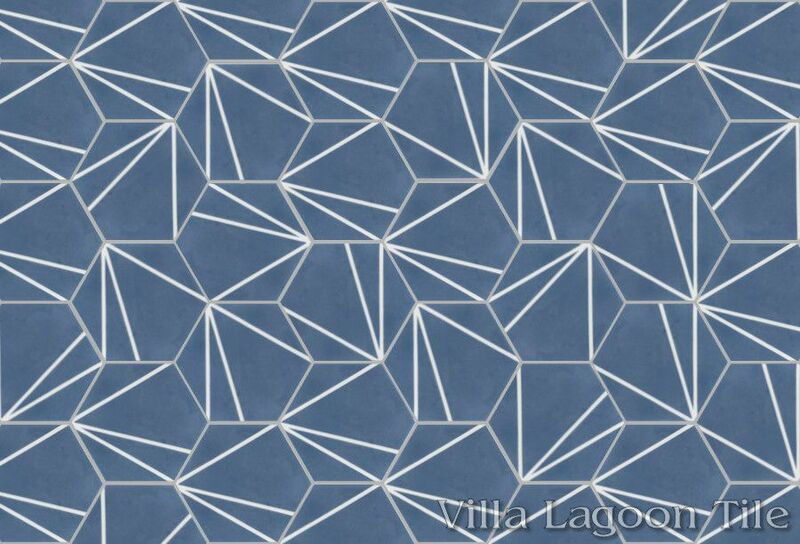 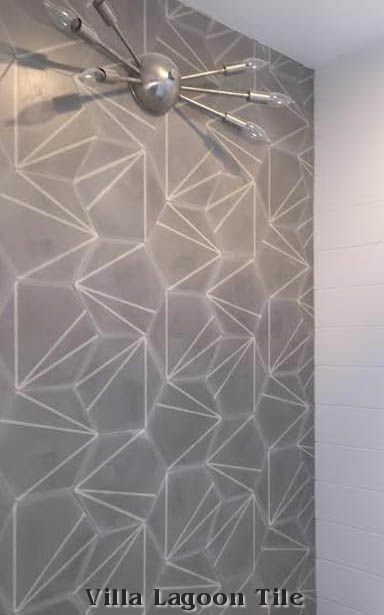 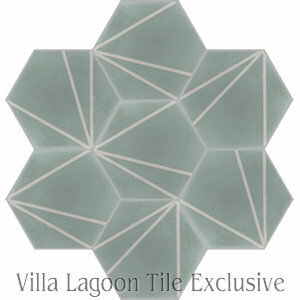 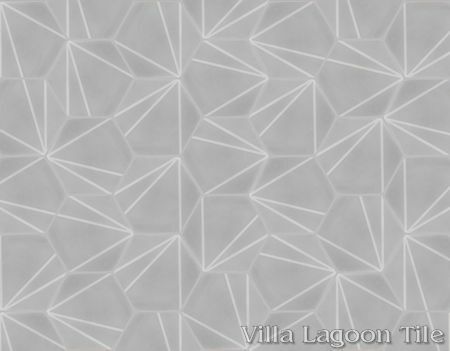 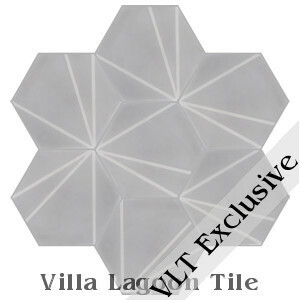 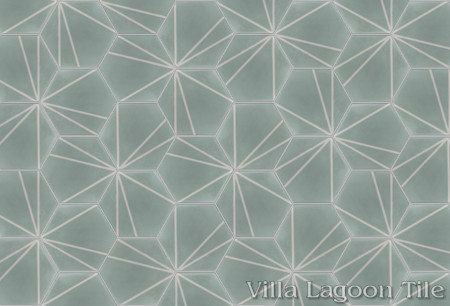 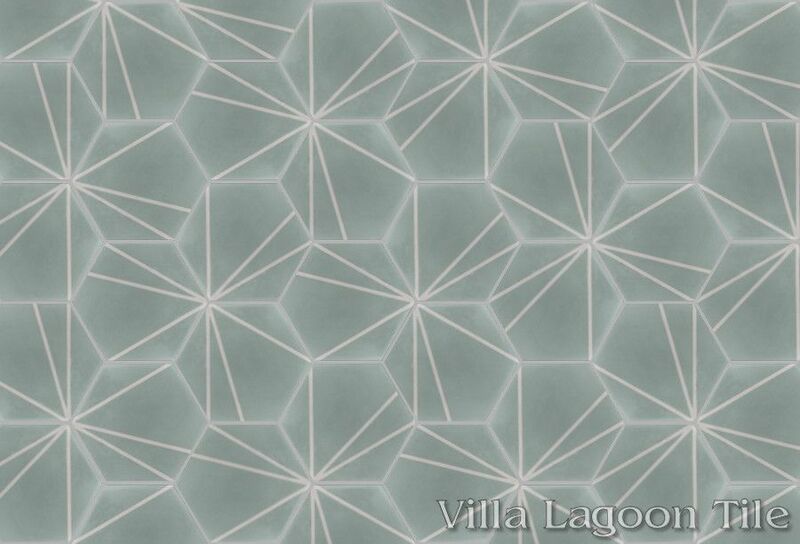 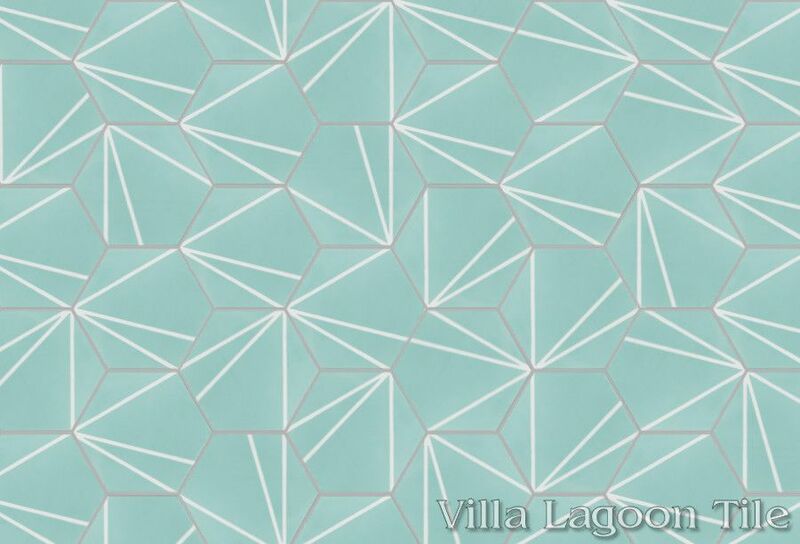 This original Villa Lagoon Tile geometric cement tile design has numerous layout options for a bold, modern look. 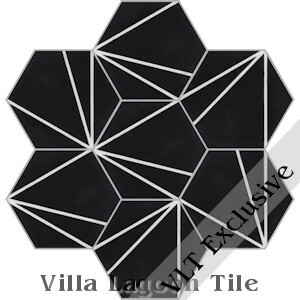 "Crow's Feet" features random lines streak and starburst across the hex cement tile background. 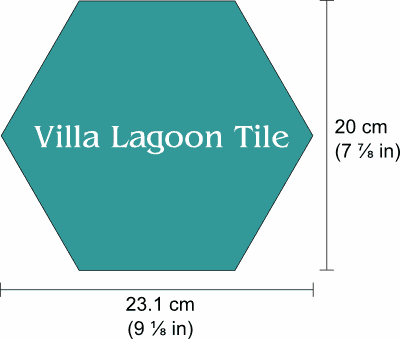 Standard Price:$6.24 per tile ($16.85 / square foot)* tiles per box. 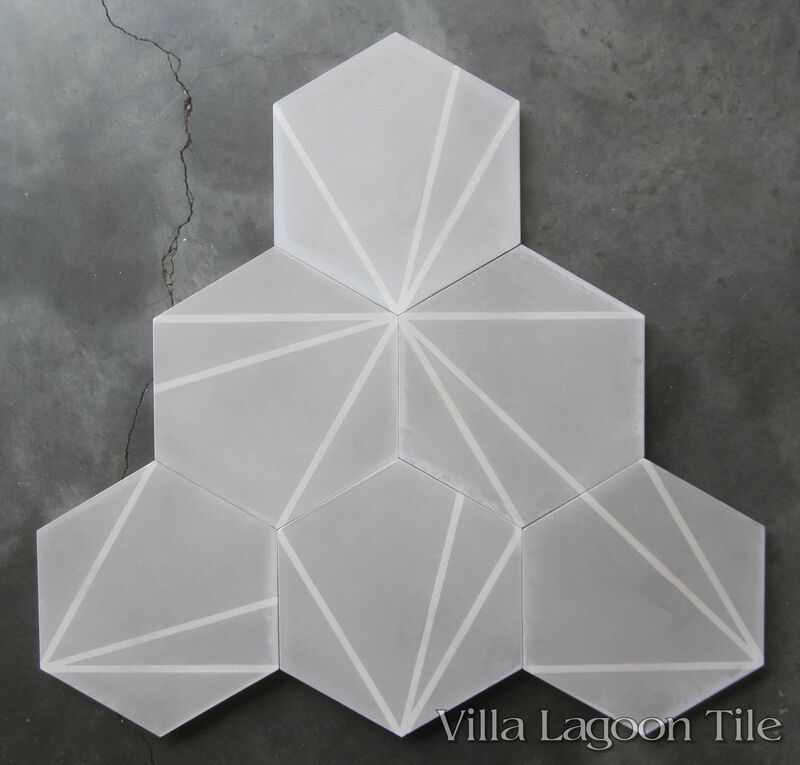 8" Hexagonal Cement Tile, 5/8" thick, 12 tiles per box, 2.7 tiles per square foot. Villa Lagoon Tile's "Crow's Feet" pattern using the sandy colors Dune and Heron Gray from the South Beach Palette. 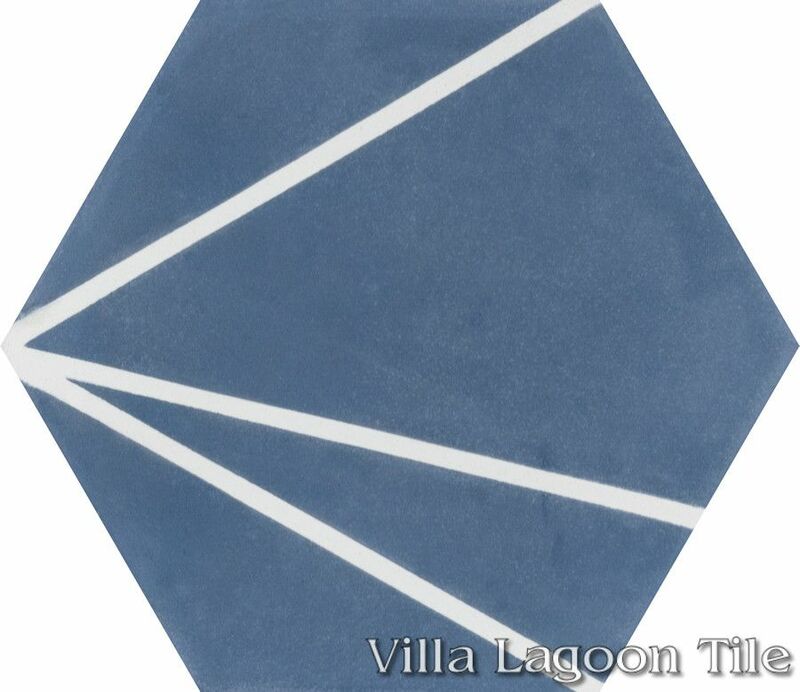 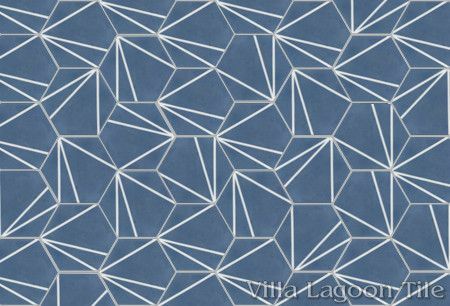 Villa Lagoon Tile's "Crow's Feet" pattern using Seaside Blue and White from the South Beach Palette. Villa Lagoon Tile's "Crow's Feet" pattern using Dune and Lexington from the South Beach Palette. 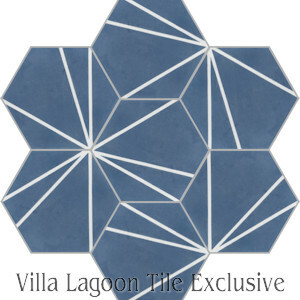 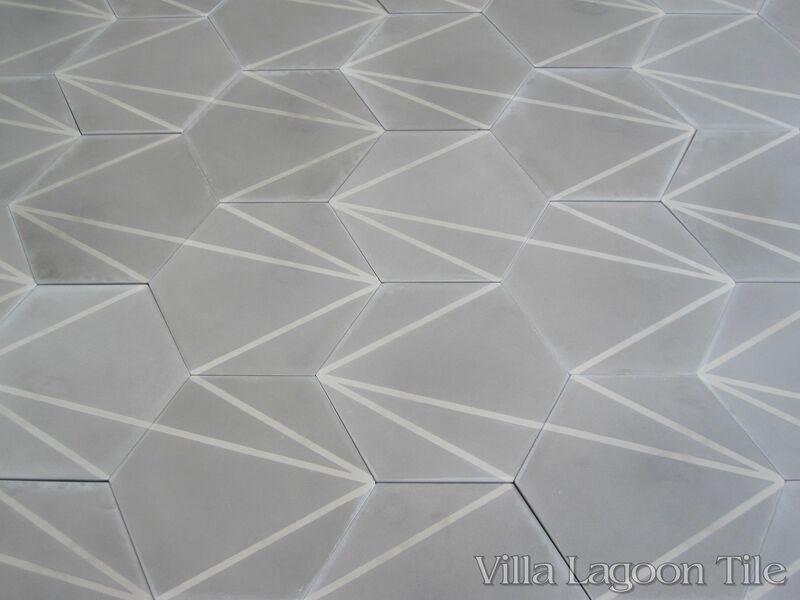 Villa Lagoon Tile's "Crow's Feet" pattern using White and Washed Denim from the South Beach Palette. 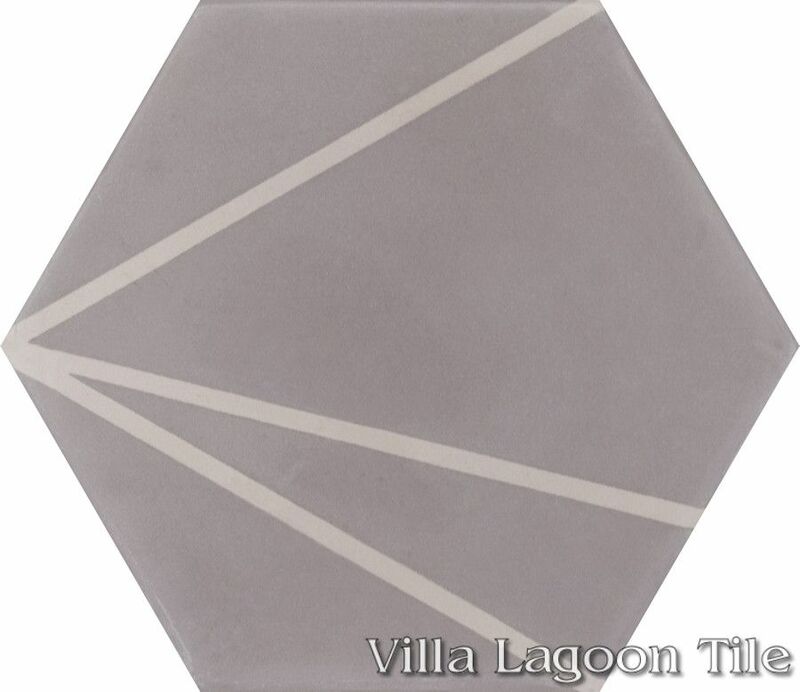 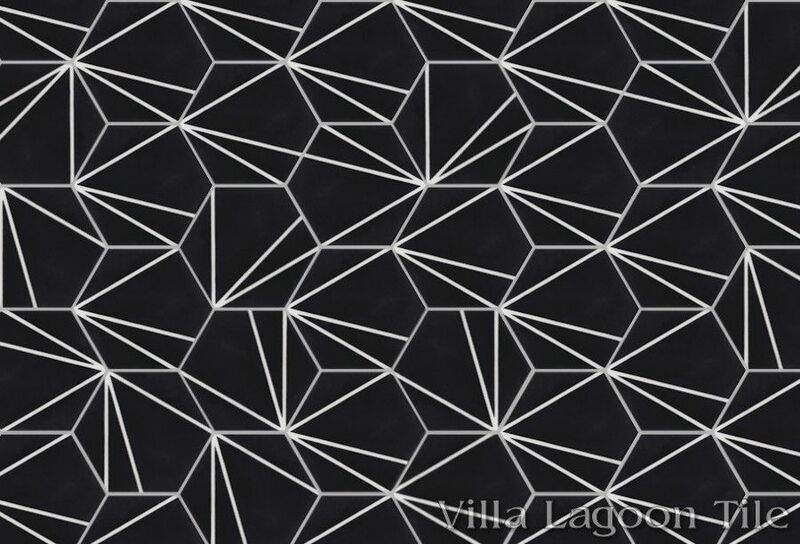 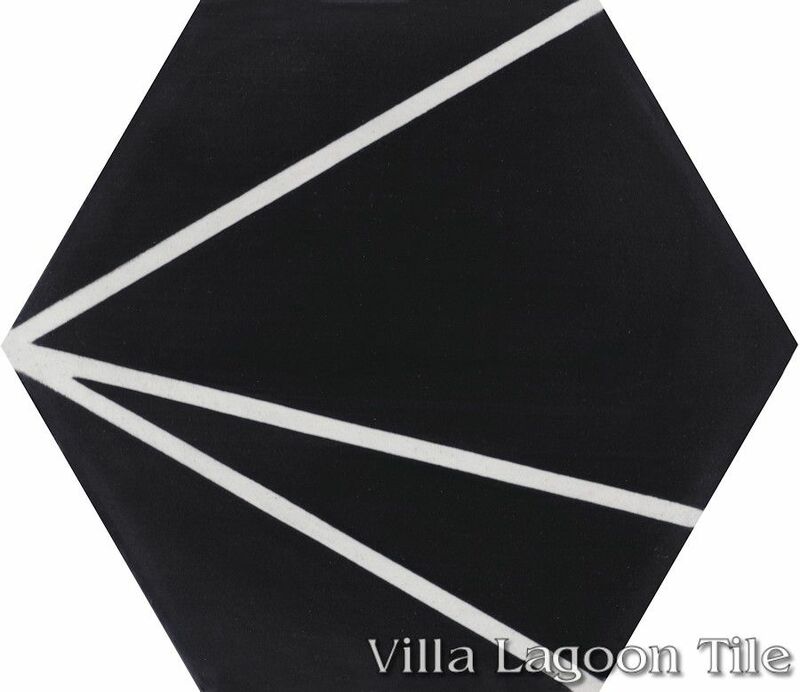 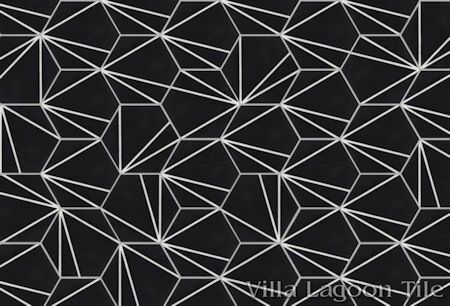 Villa Lagoon Tile's "Crow's Feet" pattern using Black and White from the South Beach Palette. 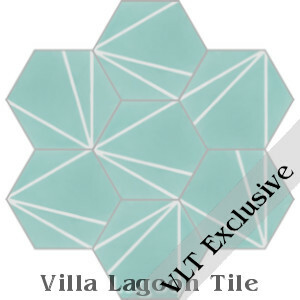 The Crow's Feet pattern is Copyright 2013 Villa Lagoon Tile. 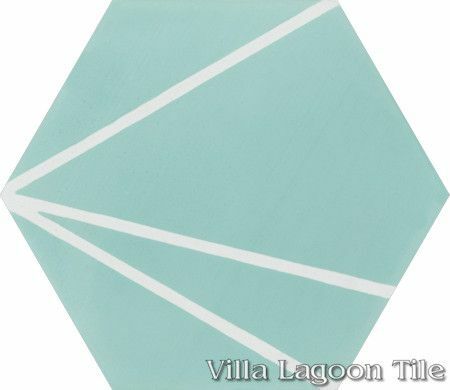 "Crow's Feet" is a registered trademark of Villa Lagoon Tile.